Jean Paul Gaultier fragrance and perfume list. 2016 - Classique Essence de Parfum | Le Male Essence de Parfum | Classique Eau Fraiche "Betty Boop" | Le Male Eau Fraiche "Popeye the Sailor Man"
Jean Paul Gaultier is a French haute couture fashion designer who has worked for Pierre Cardin and Hermes (2003-2010). His first haute couture collection was released in 1976. Partnering with Beaute Prestige International he released his first fragrance Classique in 1993. 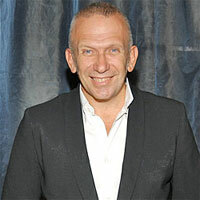 In 2016 licensing for Jean Paul Gaultier fragrance was acquired by PUIG, Inc.